Nainoa Thompson is a master navigator. Inspired by his kūpuna—his teachers—he has dedicated his life to exploring the deep meaning of voyaging. He was the first Hawaiian since the 14th century to practice the ancient Polynesian art of navigation, having navigated two double-hulled canoes—the Hōkūleʻa and the Hawai‘iloa—from Hawaiʻi to other island nations in Polynesia without the aid of western instruments. On these long voyages, Nainoa came to appreciate the Hawaiian concept of mālama—care taking. In this Wrigley Lecture, Nainoa will make the case that creating a model for well-being in Hawaiʻi can lead to the next great voyage of exploration—to mālama honua—care for the planet. Nainoa has received many awards: the Unsung Hero of Compassion, awarded by the Dalai Lama on behalf of the group Wisdom in Action; the NOAA National Marine Sanctuary Foundation Lifetime Achievement Award; the Peter Benchley Ocean Award for Excellence in Marine Exploration; the National Geographic Society’s Hubbard Medal; and the Explorers Club Medal. 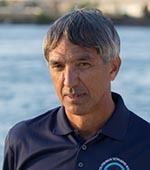 Nainoa serves as a member of the Ocean Elders and led Hōkūleʻa’s Worldwide Voyage, which concluded in 2017. 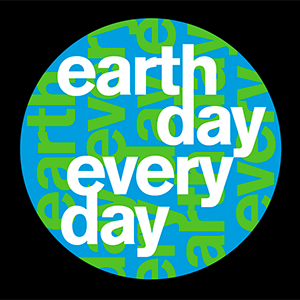 During the voyage, over 245 crew members, including 200 formal and informal educators, helped to sail the vessel and connect with over 100,000 people across the world. The incredible voyages of the Hōkūleʻa inspired the Disney film Moana. Join us for a Hawaiian-inspired reception after the talk.